Home » News » Joe Flacco shows up in all 1st Mariner Bank branches. Joe Flacco shows up in all 1st Mariner Bank branches. 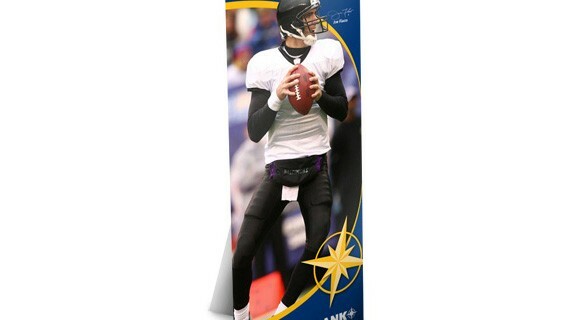 Since 1st Mariner Bank is the largest bank with headquarters in Baltimore, it made sense to make Joe Flacco its spokesperson. DPI designed life-sized “Joe” displays for every bank branch to make the announcement. DPI Spices Up McCormick’s Communications.